BL: Where does the name Nuorikko come from? KT: Nuorikko means “bride” in Finnish, and the same spelling also means “ceremony” in Japanese. BL: What makes Nuorikko different from the typical wedding dress-shopping experience? KT: A typical process involves boutique shopping and most brands don’t allow you to customize your dress. You have to buy it and wait. The average time is 3-6 months for delivery. And then after that you may have to alter the gown because it’s not necessarily made to fit the average woman in 2018. We’ve paid a lot of attention to getting the fit right, and we are a separates line. The whole line is mix and match, which allows you to create a silhouette that works for you. 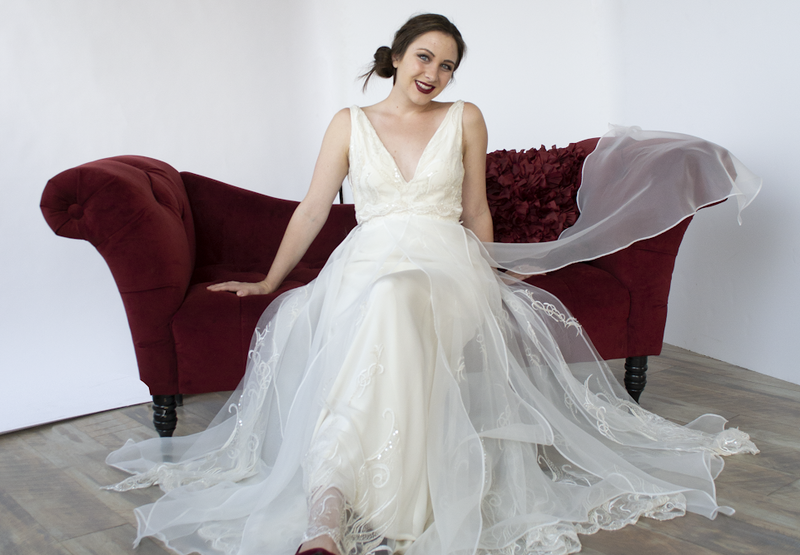 We’re custom, very similar to Blank Label, so we take your measurements, we make a gown to fit you and alterations are included if you need them. BL: How does the process begin? KT: We’d start the process by landing on a silhouette design, and then choosing fabrics and taking measurements. BL: What is the turnaround time? KT: We typically can do a full gown in eight weeks or less. We are really improving on the industry standard. BL: What brought you into partnership with Blank Label? KT: We both felt like a traditional bridal show does not give a couple a good opportunity to understand or experience clothing. We wanted to create something that had the feeling of a wedding that was more tailored to what customers need out of a shopping experience. BL: What can clients expect at the event? KT: We’re doing a wedding specific pop-up to collaborate on the outfit for the bride and groom or even the whole wedding party. BL: What are some of the in-person things clients will experience? KT: We’ve got cool options for fabrics. One of the textures that I have is a custom-designed laser-cut lace. I have had brides ask me to do a custom pattern: for example, a bride I am delivering a gown to later this month really wanted paisley incorporated into her wedding so we did a custom lace pattern. BL: What other services will be offered? KT: We have Frank’s, a men’s grooming salon that does everything from custom cuts and shaves to clean-ups. LipBar bar does a custom line of skincare and makeup, so they can mix custom colors. They also do full makeovers and teeth whitening. All of that is available at the pop-up, and both businesses can provide those services on your wedding day, too. BL: Do you have a showroom in Denver? KT: Yes, I have a showroom in Denver and we do a variety of pop-ups across the country. BL: How does shopping for a wedding or groomsmen suit differ from shopping for a typical suit? CL: A lot of guys coming in for their suits have to shop for someone else—work, events, dress codes. Wedding shopping is a time to shop for yourself and find something that will make you truly comfortable and happy on your big day. I love seeing guys get creative in ways they otherwise may not be able to! 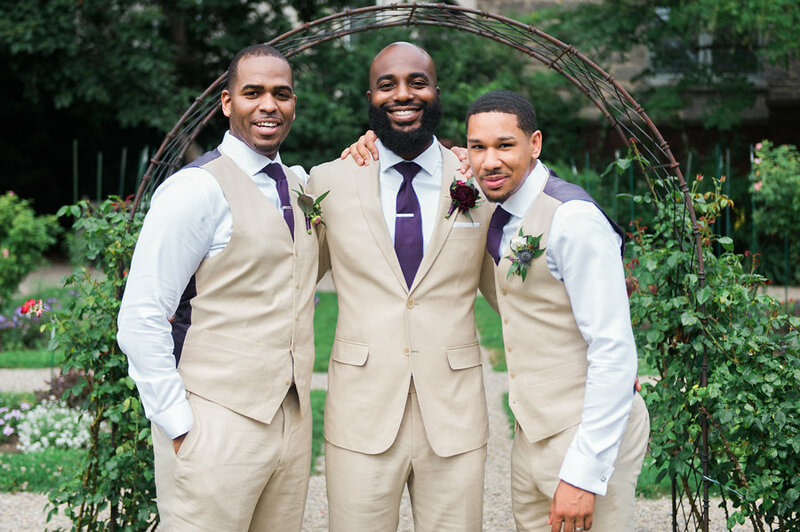 BL: What are the most common questions you get from guys shopping for their wedding or groomsmen suit? CL: The most common questions are often about trend and what they “should” wear. I like to throw those questions out the window and dive deeper into what guys actually want to wear, and then find a way to implement that into their wedding outfits. A lot of guys also want a suit that will be worn long after the wedding, so we go for something that’s appropriate for other uses while still making it unique to the client. BL: What will the event experience be like for clients? CL: The event will look very much like a regular fitting at Blank Label, but with some extra perks! We will offer private fittings with one-on-one consultations for the groom or his whole wedding party. You’ll be able to check out all of our options, discuss process and timeline, and even get fitted and place your order so you can check another item off your busy to-do list. It’s also really helpful to organize your groomsmen and ensure everyone looks just as you’d planned! BL: What can clients expect from Frank’s? CL: Frank’s is a premier gentlemen’s salon in Denver, who much like Blank Label and Nuorikko, focuses on an intimate, comfortable experience with the utmost care for each individual. 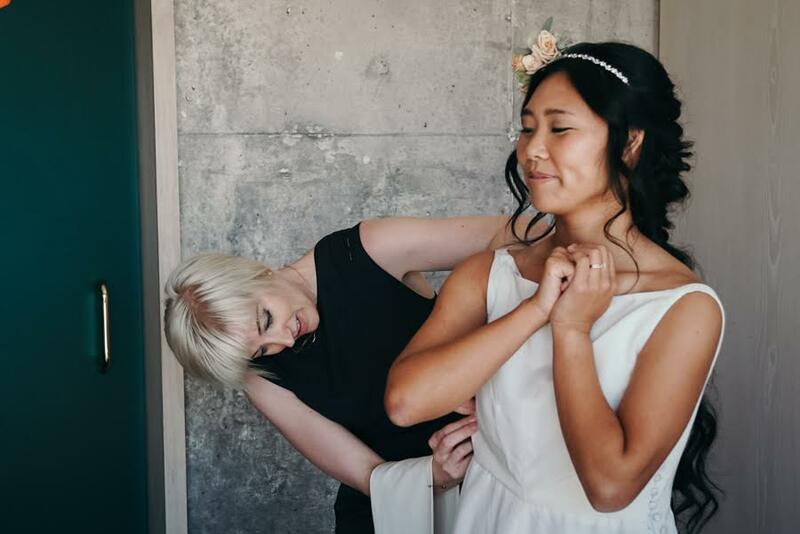 They’ll be offering information and tips on their services in the pattern room so that grooms can get a complete idea on how to look their best, from hair to hem. BL: What will Stranahan’s and Tivoli be contributing to the experience? CL: Stranahan’s and Tivoli have both been wonderful partners for us here in Denver, so we will be offering their whiskey and beer to all attendees. We believe the quality and standards they have for their goods are similar to those we hold for ourselves, so we are proud to offer them during the event!